MOSCOW (AP) — The World Cup rulings in FIFA's disciplinary court have not always been easy to comprehend. "It's a sensible solution," Kitching said of the heavy fines. "If they are not seen to protect it (sponsor exclusivity), they put everything at risk." It has so far added up to 482,000 Swiss francs ($487,000) in fines imposed by FIFA's disciplinary committee in Russia. A further six-figure sum must be paid by federations and players in mandatory fines for on-field conduct. 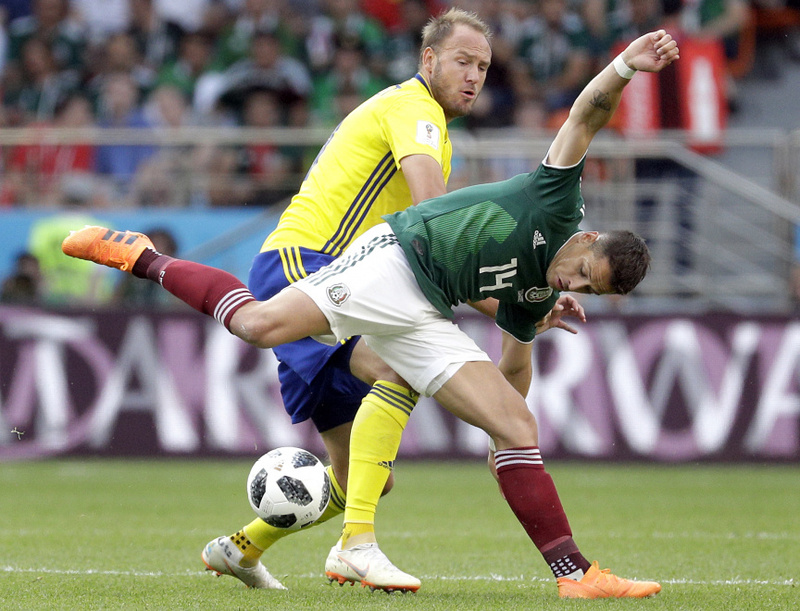 Teams due to pay 15,000 Swiss francs ($15,150) for getting five yellow cards in a game, rising by 3,000 Swiss francs ($3,300) for subsequent bookings, include Argentina, Colombia and Morocco. "Media obligations are part of the game," Kitching said. "That is what broadcast rights holders are paying for — this access." The money due to settle disciplinary cases is added to FIFA's development budget totaling hundreds of millions each year. Skeptics could point to the fines helping for the "relevant development projects" cited by FIFA last year to explain Maradona's new ambassador duty. It brought the often-volatile Argentine back into the fold after years of public spats with previous FIFA leaders and the consequences were easily seen in Russia. Maradona's double middle-finger gesture celebrating a late winning goal for Argentina against Nigeria was seen globally in the official FIFA broadcast. A similar gesture by England's Dele Alli in a World Cup qualifying game last year led FIFA to ban him for the next qualifier. FIFA resisted calls to ban Switzerland players Granit Xhaka and Xherdan Shaqiri in Russia. Its rules suggested mandatory two-game bans were possible for celebrating goals with hand gestures of an Albania eagle likely to provoke rival Serbia fans. Both players were fined 10,000 Swiss francs ($10,100). Croatia defender Domagoj Vida was only warned Sunday for a social media post with comments celebrating Ukraine after helping his team eliminate Russia in the quarterfinals. Before the 2014 World Cup, FIFA banned Croatia's Josip Simunic for 10 games for leading fans in a nationalist chant after a qualification playoff. Apparently there's no consistency, although Kitching suggests: "There has been a shift perhaps on how (FIFA) have treated such cases."